Up to 250,000 Syrian refugees could return to their devastated homeland in 2019, while many others face problems with documentation and property that the Damascus government must help resolve, the UN refugee agency said Tuesday. Up to 250,000 Syrian refugees could return to their devastated homeland in 2019, while many others face problems with documentation and property that the Damascus government must help resolve, the United Nations refugee agency UNHCR said on Tuesday. Some 5.6 million Syrian refugees remain in neighbouring countries — Turkey, Lebanon, Jordan, Egypt and Iraq, said Amin Awad, UNHCR director for the Middle East and North Africa. They include one million Syrian children born abroad whose foreign birth certificates the government of Bashar al-Assad has agreed to recognize, he said. Some 37,000 refugees have returned to Syria this year, UNHCR figures show. They went mainly to the governorates of Deraa, Damascus and Homs, Awad said. "Now, by and large, the war has ended. We have a few pockets [of hostilities], including Idlib, as you know that there is a negotiated ceasefire and a de-escalation zone," Awad told a news briefing. "As the situation in Syria improves, some of these refugees are making the journey home," he said. "We are forecasting, in what we call Phase 1, up to 250,000 Syrians go back in 2019. That figure can go up and down according to the pace with which we are working and removing these obstacles to return." The most important obstacles to return are documentation for the refugees and their property and homes, Awad said. "Then there are issues related to conscription, there are issues related to amnesty for those who deserted the army. These are drivers that would basically keep people away. They are obstacles." Other hindrances include mines and unexploded ordnance, and it will require a huge demining operation to clear agricultural and civilian areas, Awad said. 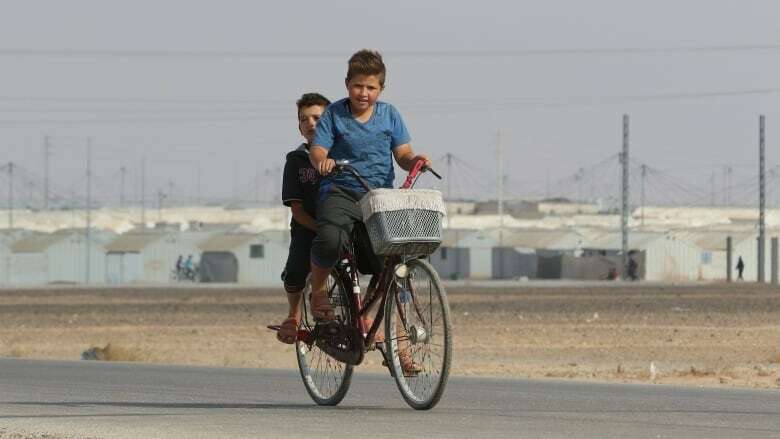 The UNHCR appealed to donors for $5.5 billion on Tuesday to support neighbouring countries in providing health, water, sanitation, food, education and psychosocial support to Syrian refugees. "Their living conditions have deteriorated as their existence in exile prolongs. They have been borrowing money, they are indebted, and a lot of them are living below the poverty line. Seventy to 80 per cent of them are living below the poverty line in their host communities or countries," Awad said.